BUMP IT OFF! Bump It ALL Off! Kitchen Laundry Pet Or Body! These are so amazing! They are a reusable silicone sleeve that fits ALL hands perfectly. Because they work four different way they will help you concentrate on scrubbing! While enabling you to concentrate your scrubbing by the pressure of your hands and fingertips. Simply slip your hand in and start scrubbing. You determine when and where the pressure is applied! 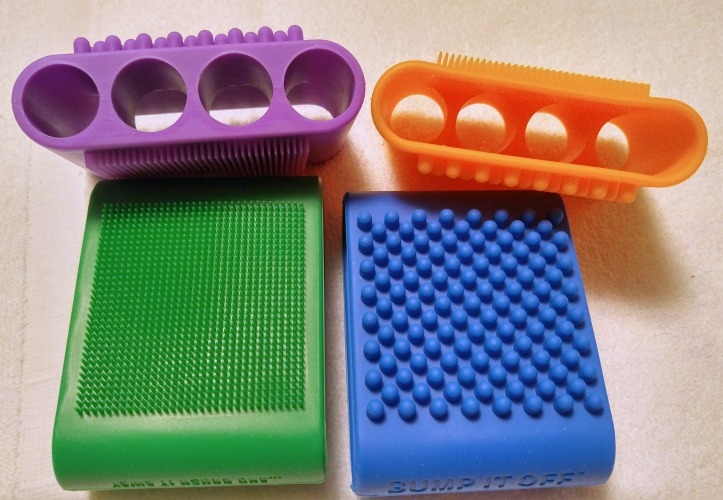 While the gentle silicone bristle on one side they will help you clean so many hard to reach spaces. And odd surfaces! And smooth bumps on the other side. I don’t know which part I like the best. Kitchen, laundry, pet or body. Because if you use this on your laundry, you can use your stain remover. While using the BUMP IT OFF glove, which helps you scrub the stains and dirt loose and off from your clothes. While using in the kitchen will help you scrub your pots and pans WITHOUT scratching them! I own some expensive cookware and do not want to scratch them. And these sleeves are such a great find! I love them! And PETS! 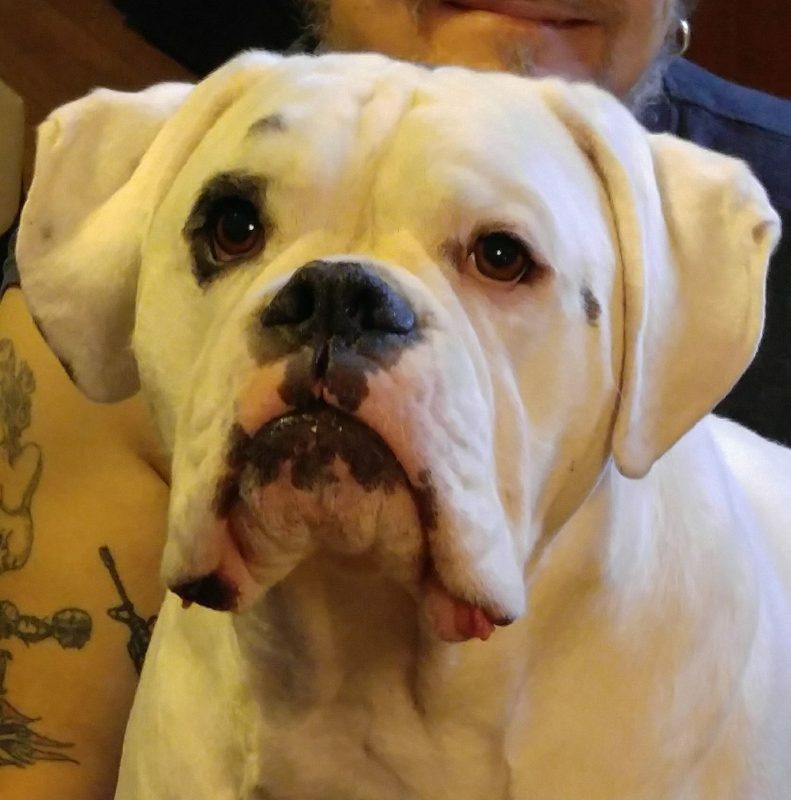 This is my Huey – a 125 lb boxer ( short hair ) that sheds like there is no tomorrow. I can “pet” him and see the hair fly away. I can now contain his hair a little bit. And when I am not using one on him I can use another on myself. Because they help to clean, massage and exfoliate MY skin in the shower or bath! So the BUMP IT OFF sleeve works for your laundry needs, kitchen needs, pet needs and personal body needs. Something that everyone needs in their home! I love mine! I have four and use them all for different reasons. One I use only in the kitchen, one for Huey, one for laundry and one for our showers. One for every need I have.